36' Contender,open. 2001 with a total refit in 2016! "One Of a Kind" Realible 300 HP Yamaha engins with 3.5 years of factory warrenty remaining! 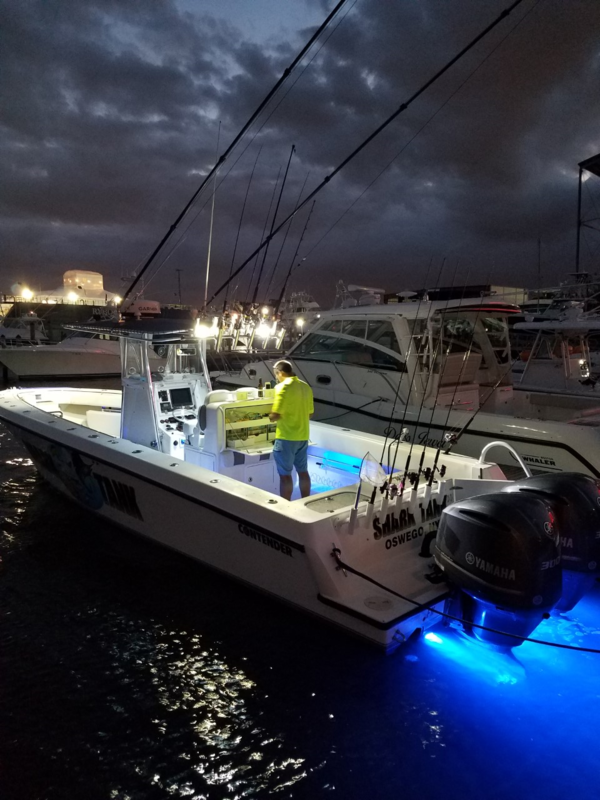 New Garmin12" touch screen integrated, fish finder,gps, plotter, 36 mile radar, full engine functions plus Digital Yamaha Gauage package, underwater camera and FLIR night vision and auto pilot. Custom Helm Seat by Nautical Design, seats 3 with tons of tackle storage and work station! 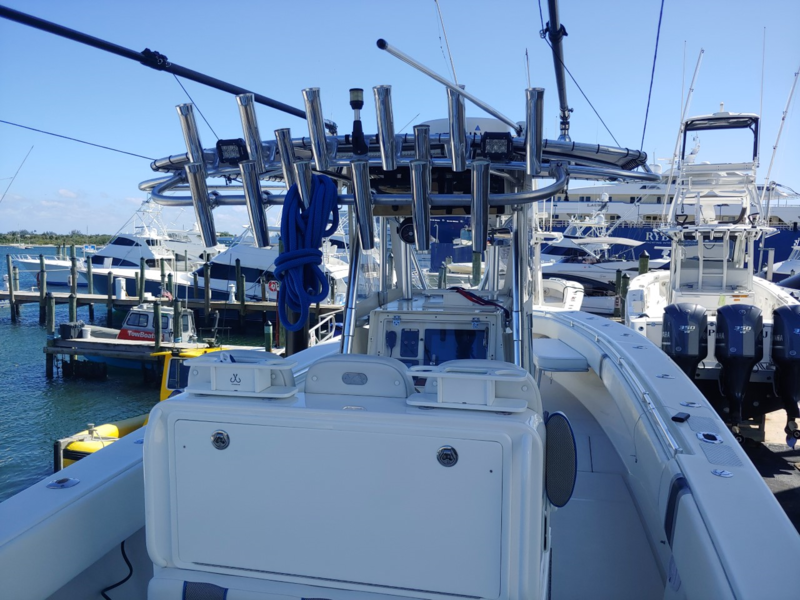 Over 50 rod holder, 20' carbon fibre outriggers and vhf. New diamond pattern non-skid floor, 6 in deck storage compartments. there are 400+ hours on the engines split between fresh and salt water. Awesome Fusion Stero system. All this and a custom 3 axle trailer w/electric over hydralic brakes and a spare tire and hub assy. 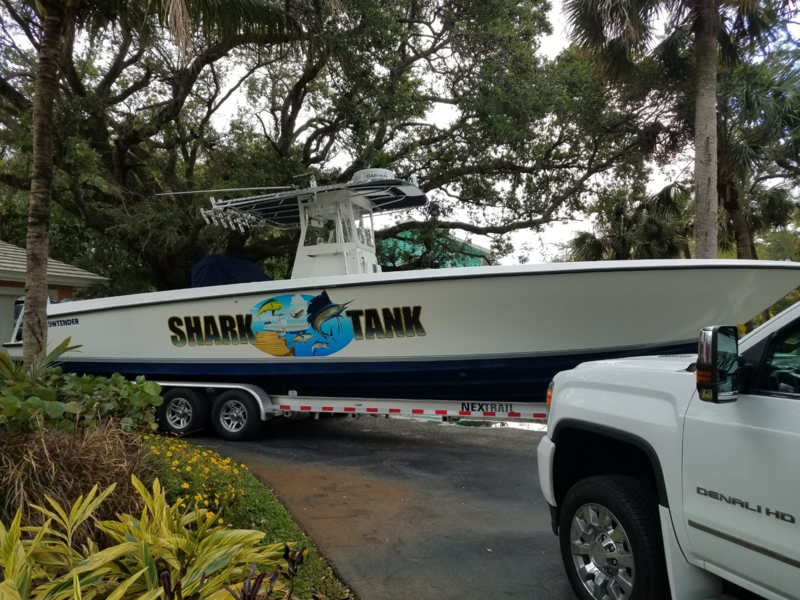 Extremely clean, well cared for boat...a must see if looking for your next big offshore boat. Contact Greg @315-529-5953 for a showing. "BUY BEFORE IT GOES BACK TO NY"